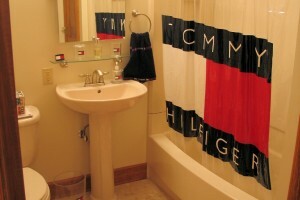 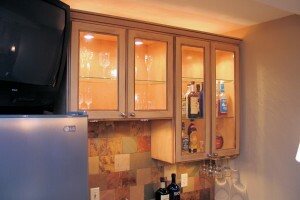 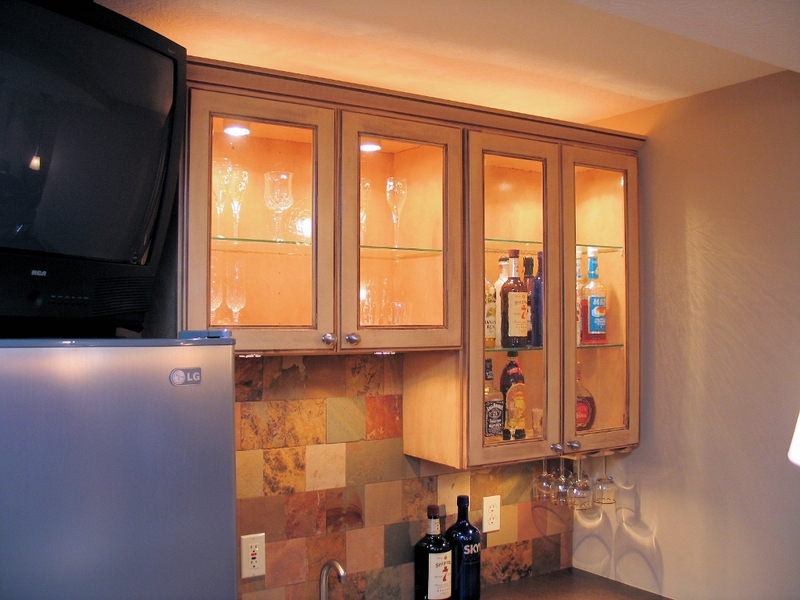 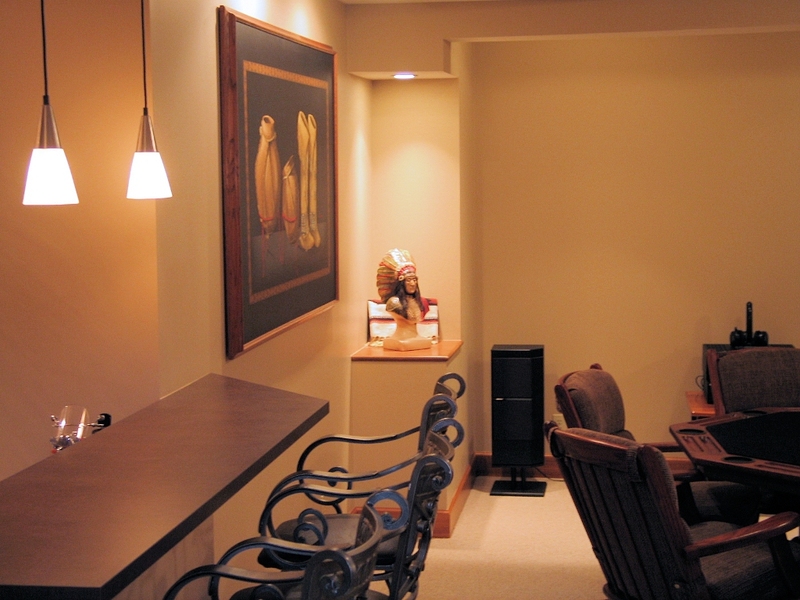 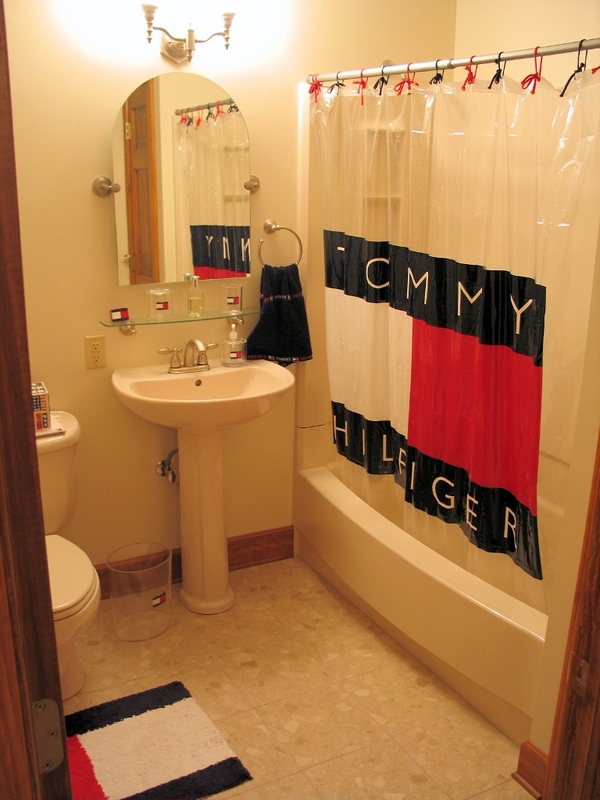 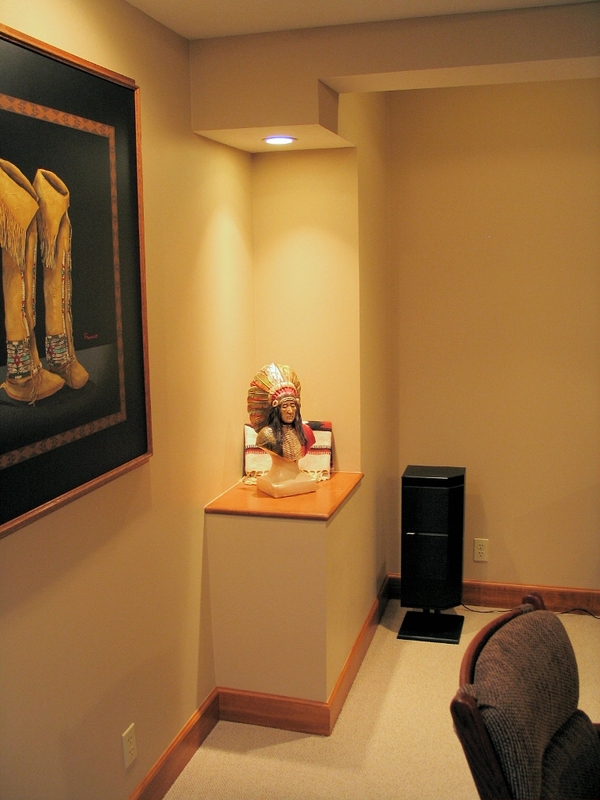 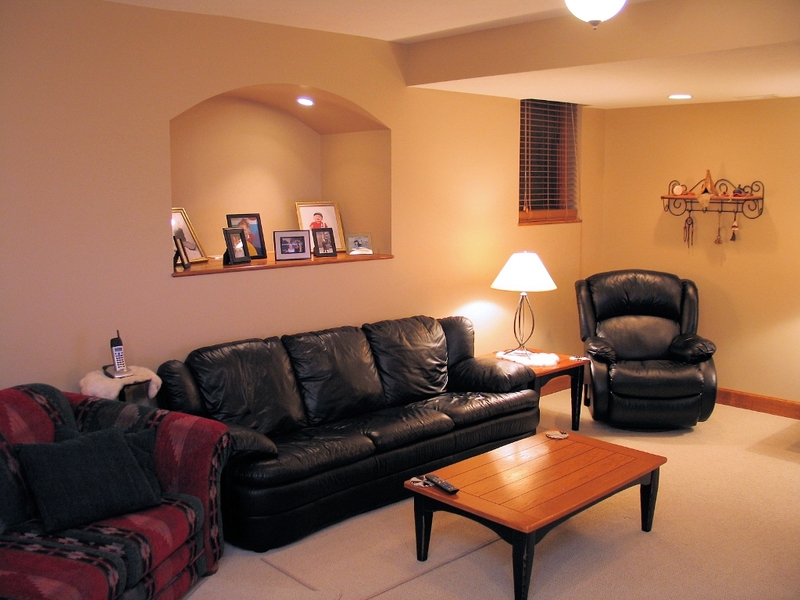 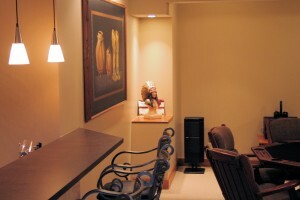 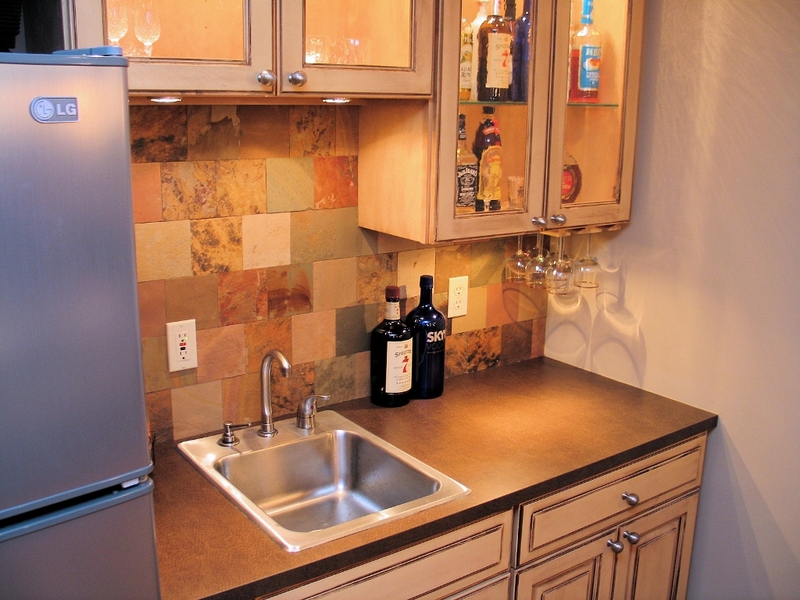 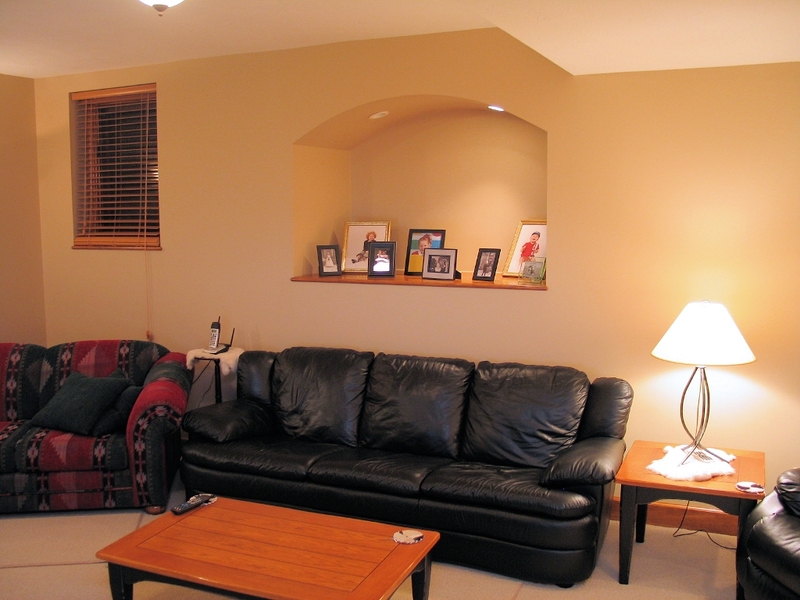 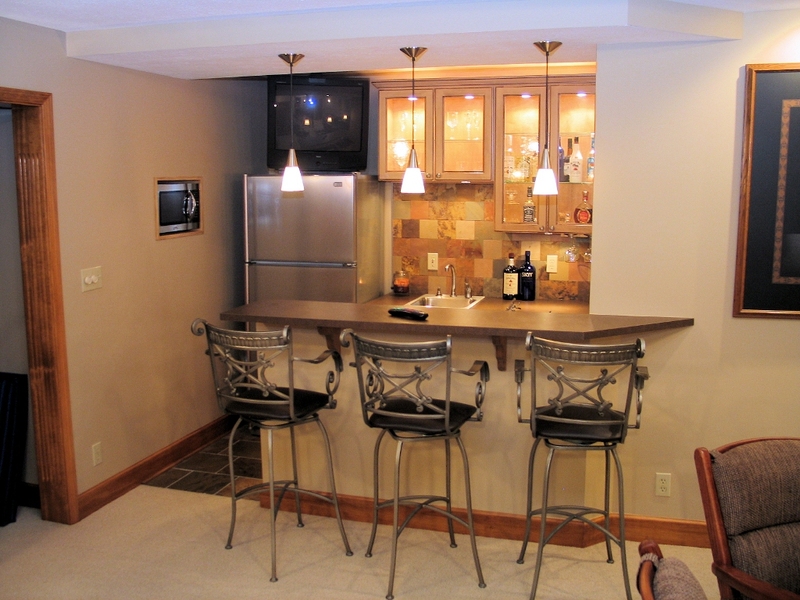 Many of our clients finish their basements to have more room to entertain. 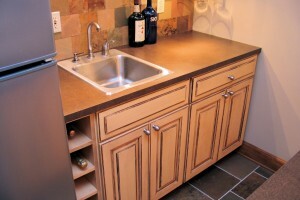 That was certainly the case here. 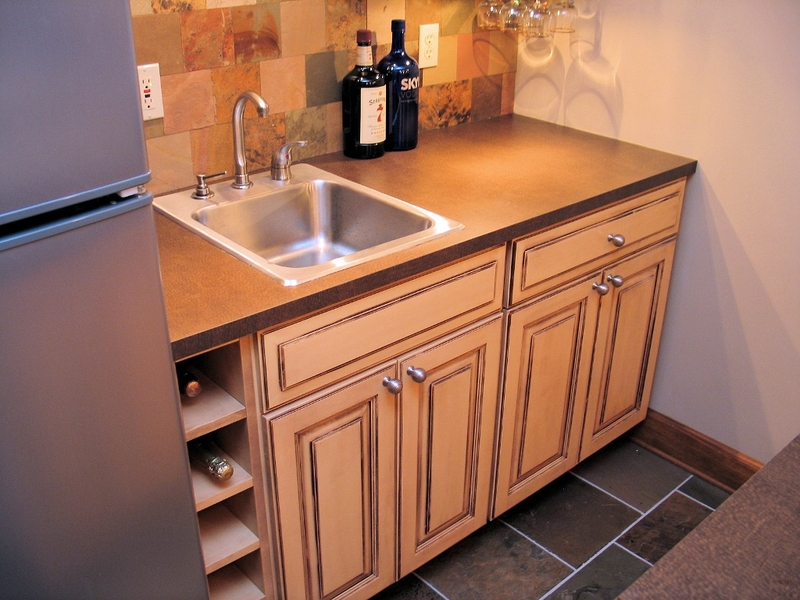 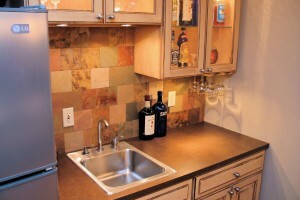 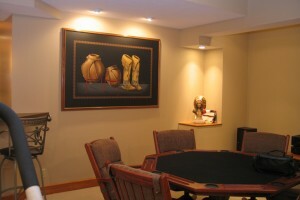 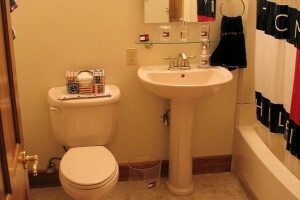 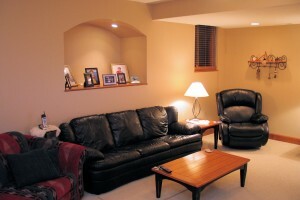 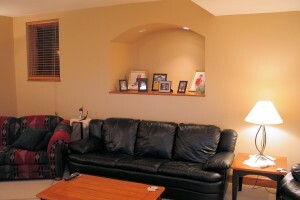 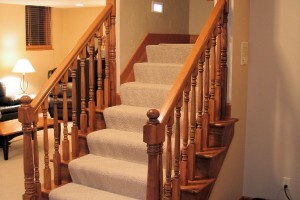 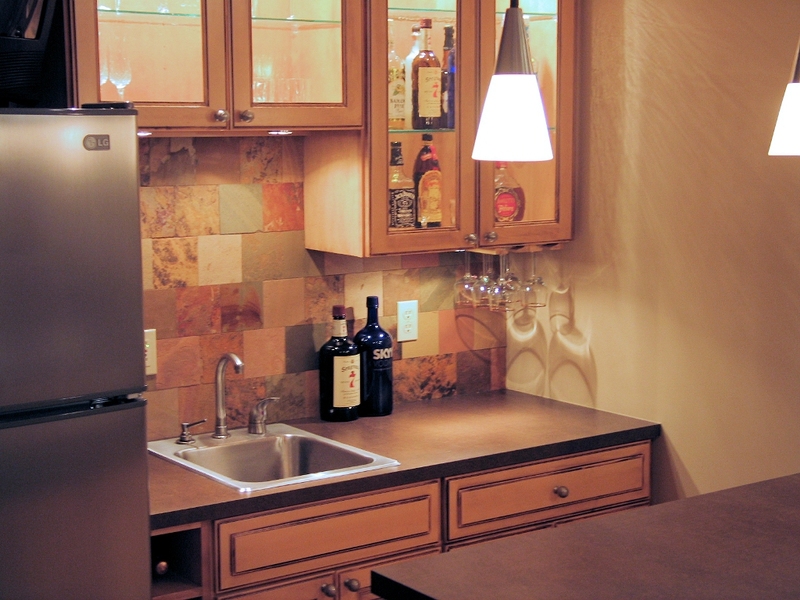 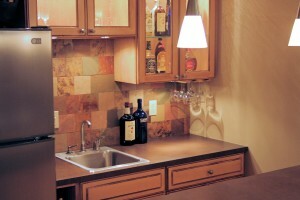 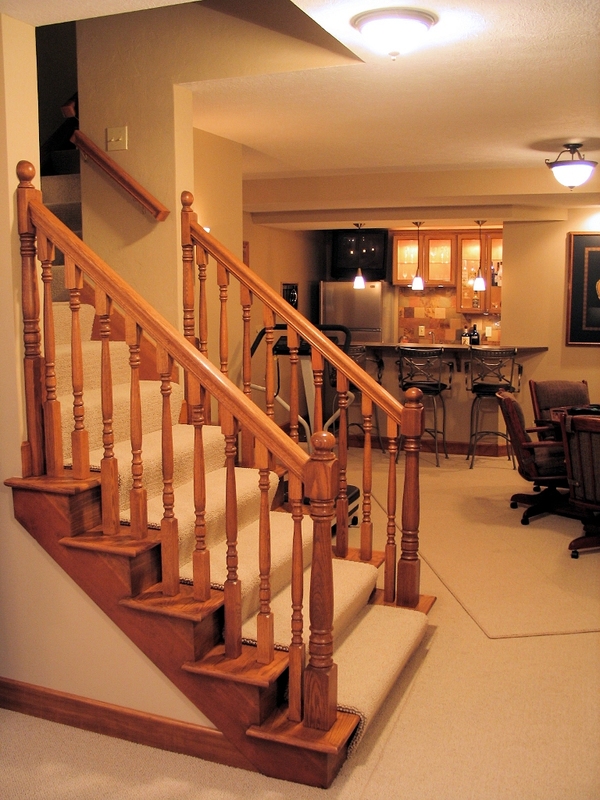 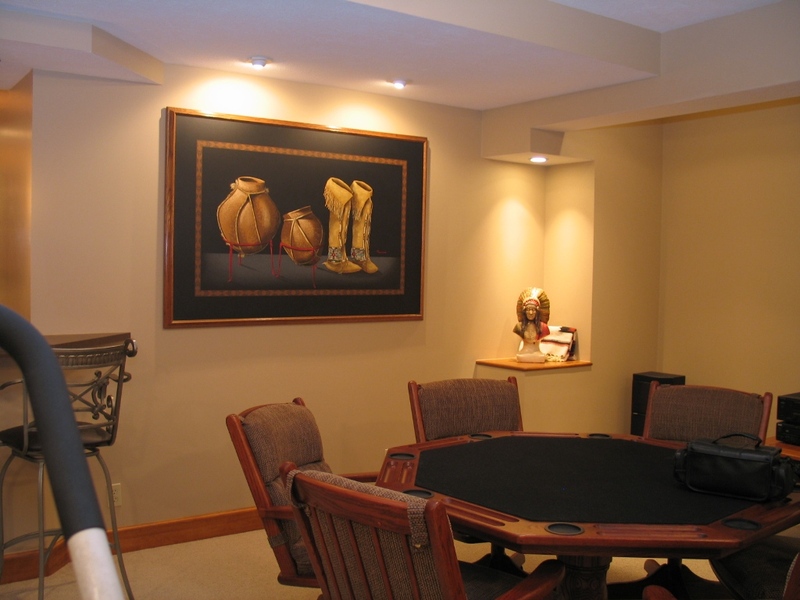 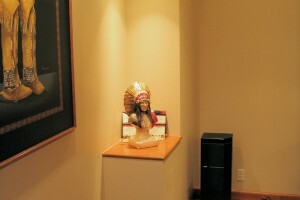 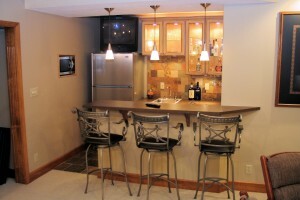 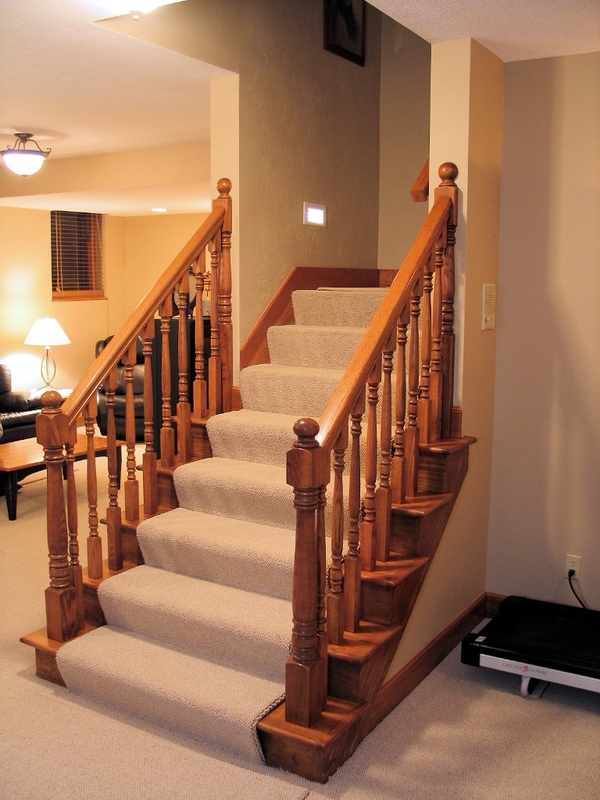 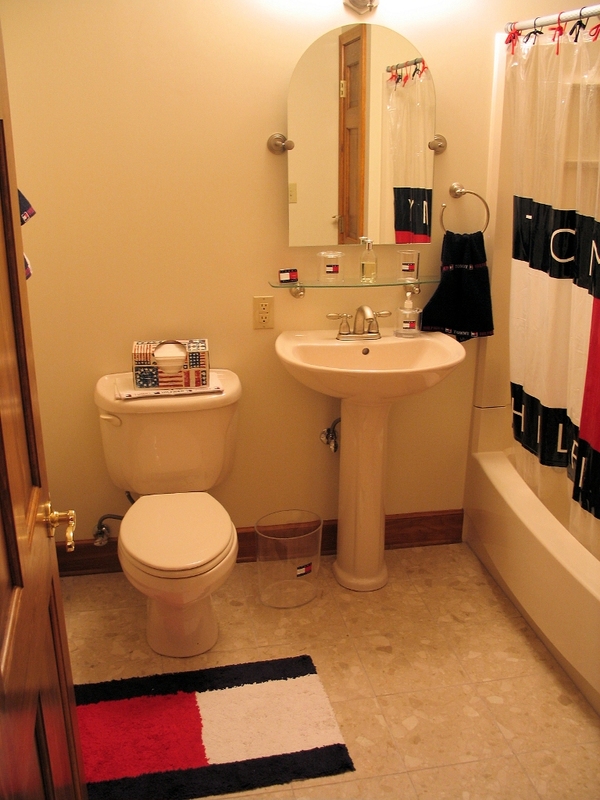 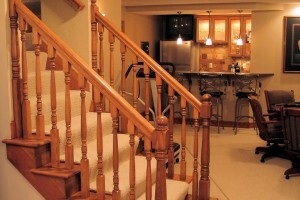 This basement finish project in Indianapolis features a bar, game table area, open stair, family room, and full bath.